Noob’s return continues! Last Monday we celebrated Relegation matches of suckitude for the first time since the holidays. Today, we return to our Globetreotting ways. When the biggest leagues provide a little less, we spend our Friday perusing matches far and wide! Atlas won their first match of the Clausura (second half-season of the Mexican football year). They needed a hot start after crapping the bed for first half-season. After getting just 11 goals that whole time, they already have two. This is America’s first match. They’re awesome and will almost certainly perform terrible deeds upon their host tonight. View the carnage at 10:00 PM on Univision Deportes. Fun Fact: La Barra 51 are Atlas’ primary supporters group, named for 1951 – the last time and I think only time they ever won the top-flight championship. This is the quadrennial championship for the AFC. The qualification rounds are done and the Group Stage is at hand. All the remaining matches are being held in U.A.E. Six pods of four teams each each duke it in a round robin out for two slots in the next, bracketed round. Defending champs Australia (#41 in the world, #2 in the AFC) actually lost their first match. HYOOJ. Jordan also won their second match, so it’s looking like one slot will be theirs. Palestine are rated the 16th-best national team in Asia, #99 overall by FIFA. They had a scoreless draw with Syria to open this stage. Number B- enticing you to join the question to be done with Number 2. Even as only England’s second-highest league, this is probably a top-15 league talent-wise in Europe. The top two teams will be Promoted to Premier League, with the next four having a playoff for one last slot. Leeds still lead the league, but they’ve allowed it to be a tight race after losing two league matches in a row (and their recent FA Cup match as well). Both were road losses, but six goals conceded is bad against Nottingham and QPR. Derby have kept their hopes afloat with a lot of draws of late. They don’t appear to have the defense to hold a top-six position, recently or over the season as a whole so far. Noob predicts a shootout today. First one to three goals wins! One of Noob’s all-time favorite crests. So many design elements here give it a three-dimensional look. This would make a fine ornamental piece. If it seems like the last iteration of this tournament just ended, you’re not wrong. They’re moving from a Feb-Nov. timeframe to an Aug.-May format in 2019. So this 2018-19 version is the tweener, running Dec.-May. The qualification round is done, and this is the first day of the Group Stage. Four pods of four clubs each compete in a double round robin for two slots each in the next, bracketed round. Lobi won last year’s Nigerian Premier. This league is ranked #13 in Africa. Just a notch higher and they would’ve qualified the maximum two teams into this event. The Stars’ success is predicated more on defense than scoring. The Sundowns are one of two teams from the #6-ranked South African Premier. Their league season is about halfway over. They;re in 4th place, but have 3-4 matches in hand over the teams above them. They’re also undefeated, though with lots of draws. They’re even more defensive-minded than Lobi. If either teams scores, it will be Mamelodi. They should be considered a 1-2 goal favorite today. The winner of this league will probably qualify for the next Caribbean Club Shield – a new second-tier tournament for semi-pro and amateur clubs in that region. But neither of these two are likely to be vying for that. Conaree aren’t bad, but don’t have the offense to nearly compete for international competition. Mantab are just trying to stay in the country’s top flite. The bottom two here will be demoted to First Division next season. Mantab couldn’t score even with the help of a map to the back of an opponent’s net. They’re above the cutline now, barely, and in real danger. Fun-nish Fact: Mantab’s home city of Basseterre – the SKN capital – has been destroyed seemingly countless times by war and natural disaster. Undefeated Robin Hood are in a dead heat with Pembroke Hamilton for the league lead, tied on table points and goal differential. Noob tends to favor well-balanced teams like Robin Hood, but P.H. are the defensive stalwarts of the country. Should be a fabulous title race, especially with wide-open styled X-Roads Warriors close in 3rd. Noob thinks this is one of the region’s fully professional leagues, which means they’ll be able to send up to two clubs to the Caribbean Club Championship. Somerset have yet to win their first match. Their stats aren’t much worse than other bottom teams here, but they’re deep in last just the same. Defense is their undoing. Noob’s down for learning that. Noob estimates this league’s strength based on guessing that national team and league strength probably corelate with smaller nations like these. There’s actually a three-way tie for #B right now. Defending champs Central don’t bother with defense so much, but score like gangbusters in league. Seven of the 10 league teams are very much in the hunt. It will be interesting to see if Tefana cam hang on to a spot. They’re well-balanced, but lack enough on offense to make Noob guess no. Manu Ura, more traditional powers Pirae or both will pass them eventually. Fun Fact: Tefana are one of two clubs to advance as far as the OFC CL final (2012). It’s not quite a two-horse race in Saudi Arabia, but it’s close to being such. Defending champs Al Hilal should be able to maintain their position atop the table hosting a midtable club. Al Raed have overachieved to date this season. The second-worst offense in the league should be a lodestone around their necks that drags them down close to, if not into, the Relegation Zone. 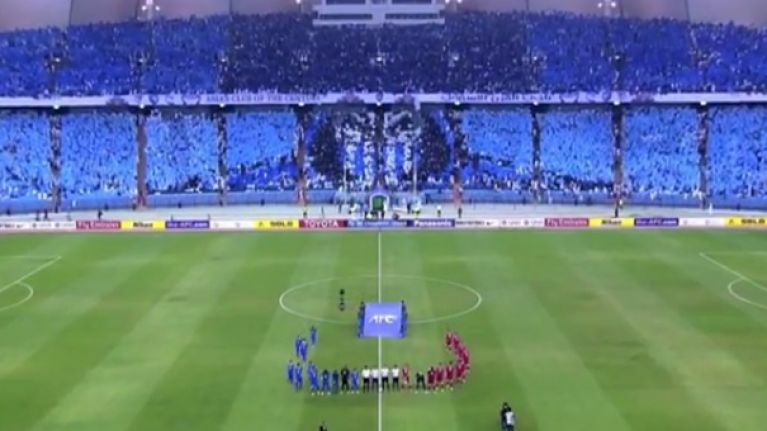 Pretty cool “Mortal Kombat” mosaic the Hilal supporters pulled off. Rwanda’s top flite may not be ranked at present, but they are slated to be #17 next version! That will still only be good enough for one league berth into the Champions League there though. These two are all but out of the running. 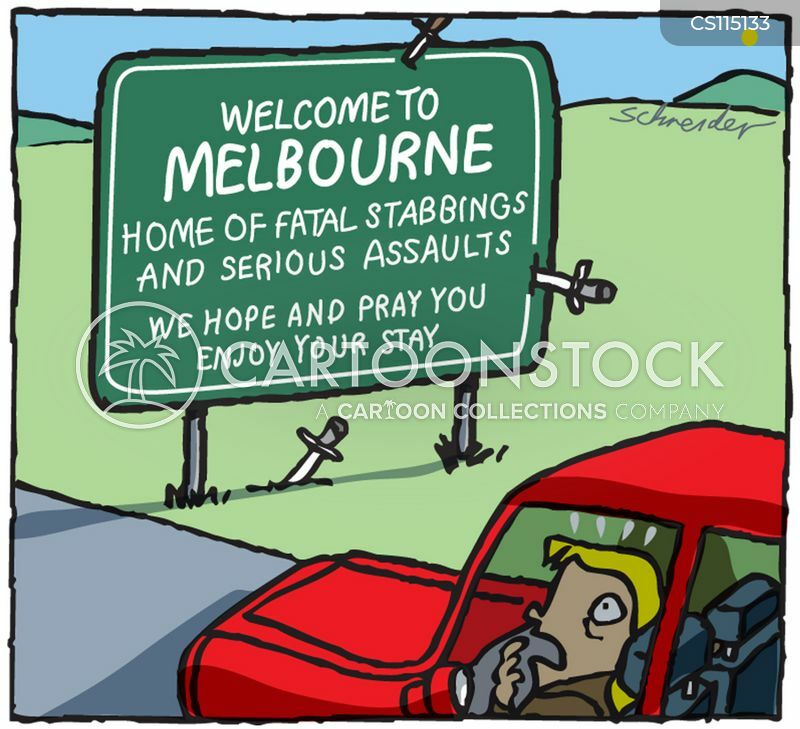 Police are nine points out of first in the table, still have maybe a glimmer of hope. Kigali are three points further back. Too many draws there. But for anyone to catch the top two, someone’s going to have to figure out how to score on them anyway. They’ve combined to allow just seven goals between them all season. Fun Fact: The Police F.C. manager’s first name is “Innocent”. Like aforementioned Nigeria, Ethiopia’s league needs to climb just one more notch in the rankings to earn a second Champions League invitation. Neither of these clubs are likely to be there. They’re below average of the 16, making them slightly more likely candidates to to be Relegated. Kenema’s going to be the better team, perhaps finish in the top half, given their offense. 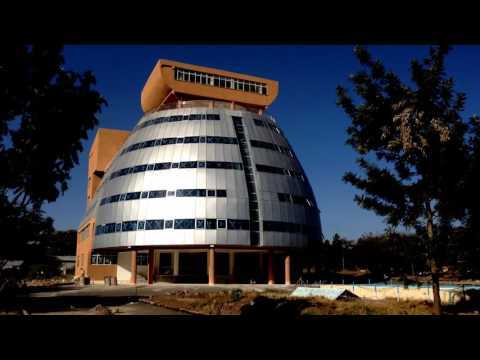 Dire Dawa will likely stay just where they are, scuffling along as they neither score many goals nor give up too many. ’10 to Track’ Midweek Edition (11/27-29) soccer match previews – MLS Semis end the MWE! “The ten most important matches to follow, for us – the newish American fans of the global game” – hit their peak of importance today. MLS Semifinals! After tonight, we’ll know who’s playing for the big trophy. Tuesday and Wednesday’s match results follow below. Remember you can always check back for results on every single day, plus often a note or two about who starred, or how the results affected what was at stake. Second leg of the Western Conference Finals! While any team would of course like to get a road win every time, #1 KC got the draw in Portland in the first match of this two-game series. Now they have the chance to take care of business at home. But that scoreless draw has to be troubling for them. Goalkeeper Tim Melia of USMNT fame played well and Graham Zusi was a monster on the back defensive line. But Noob highlighted Daniel Salloi for that first match and instead of starring, he was the weak link, losing duels and not being terribly good with passes. The 5th-seed Portland was better on passing, held the ball longer, and created more shots on goal. That didn’t and won’t matter if they can’t get better play from striker Jeremy Ebobisse though. Some are calling the Eastern Conference finals the de facto league finals. Both teams had several more point in the the table than K.C. #B Atlanta laid the smack down at their place in the first leg of this overall Semi, 3-0. Franco Escobar was the slightly-surprisng star with both a goal and an assist. This club has the best offense in the entire league. It will be interesting to see if they keep dancing with the girl that brought them and continue attacking, or try to take the air out of the ball with such a big lead from the first leg. RESULT: NYRB 1-0 But it’s not enough! ATL will host the single-match Final versus Portland. So long from…wherever the Red Bull box cart races were held. You can scroll down to the Tuesday portion of the Midweek Track for a few extra details on the event, should you be a completely unseasoned Noobite. Noob-reviled Hotspur is nearly out of Champions League, as is good, right and appropriate. When your club is named for an historic traitor (Harry Percy), good things cannot follow. The scourge of England’s Premier League, Hotspur trail Inter by three points in the table and won the first match between them (tiebreaker). Since Hotspur’s remaining match other than this one is at #1 Barcelona, they’re in desperate need of a win today. 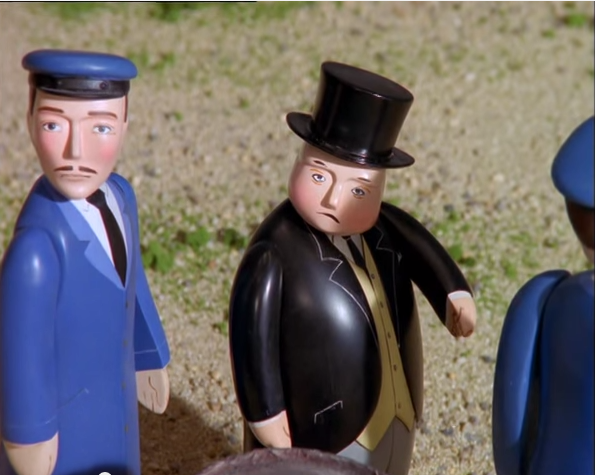 Sir Topham Hatt — flexing the pimp hand. Gotta keep it strong for those Hotspur COYS. This is the most competitive Group going here. Liverpool and Napoli are tied for first. PSG are just a point behind and Red Star Belgrade only a point behind them in turn. PSG are running roughshod over Ligue 1 – no losses or draws. Yet many people Noob reads suggest the league is not very good this year. Liverpool have yet to lose in Champions League, putting them in second place there. Neither team allow goals. Three matches from one event? Thought you were filtering event like these, Noob. Oh, but I am. But I won’t ignore important ones this late in the Group Stage just for the sake of it. Porto is Portugal’s #1 team. That doesn’t make them one of the very strongest clubs remaining, but they won’t be a pushover for anyone next round. They’re dominating the Primeira Liga and can score and defend amazingly. 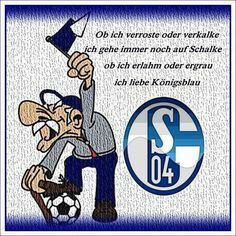 Germany’s Schalke trail Porto by two in the Group C table. An upset win today would guarantee them a berth in the Knockout Round. And it would be a remarkable upset at that. In the Bundesliga, they’re playing so darn badly that they’re fighting just to stay out of the Relegation Zone. They don’t defend half badly, but they didn’t wow on offense last year and don’t score much at all now. Still, they lead the Group 3rd-place team by four, seem likely to sneak out of the Group Stage no matter how today goes. Is that the German Mr. Magoo? Let the playoffs begin! This is the Liguilla. The eight best teams from the Apertura (first half-season) qualified. This is a bracketed tournament. Each pair of teams will play two-legged, home-and-away series. This is CONCACAF’s third-strongest league. They might argue they’re better than MLS. Mexicans might argue their second division league is better. Regardless, this is a sneaky-good football league. And the Playoffs are already underway! The top four qualified for this postseason tournament. Apertura regular season champs Saprissa host this second match of the home-and-away Semifinal series. Herediano – the other perennial power here – finished 4th, won the first leg 1-0 at their place. Saprissa was better on both sides of the ball all Apertura, but particularly so on offense. That one-goal deficit should be one they can overcome today, move on to the Final. 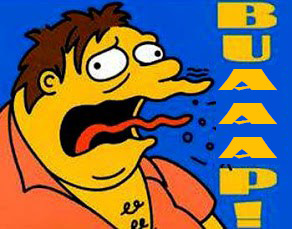 But the logo’s more than a little puffy-nipply. No. This, too, is one of CONCACAF’s stronger domestic leagues – almost certainly the best of the island nations in our federation. Hallooo, neighbors! Noob’s making a concerted effort to get to know ya. May I borrow a cup of sugar? The top six finishers here will make the Playoffs, with the top two getting byes into the Semifinals. They’re a dozen matches into the season, and rhese two are #1 and #3. This is a classic best offense versus best defense scenario. An upset win wouldn’t move Gardens into 1st, but would tighten up an already good-looking race. But make no mistake, I’m glad it’s back, baybeeeeee! A quick reminder for the newest Noobites what the it is:. League champions and other top teams of Europe in the crown jewel of all club tournaments. They’re currently in the Group Stage. Pods of four playing double round robins. Top two finishers from each will advance to the Knockout (single elimination, bracket-style) Stage. Everybody’s got two matches to go. Man City is thought by many to be the #1 team in the world currently. They’re undefeated in Premier League play, lead Lyon by three point in the Group F table. But they’ve lost one match. To Lyon. At Man City! 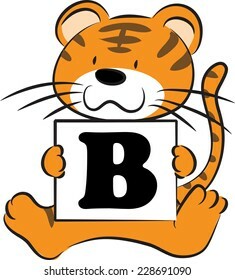 The French team is a distant #B to undefeated Paris Saint-Germain in Ligue 1 there, but #B nonetheless. They haven’t lost to anyone, anywhere, besides PSG since August. Yet strangely, that win over Man City is their only win in Group F. All their other matches have ended in draws. So what’s at stake? Noob’s laser-focused of late on stakes, letting you know why any given match is important. Man City are almost 100% to advance to the Knockout Round now, and any result (win or draw) will seal that deal. A win for Lyon would do the same. Anything else, and the door is very much open for the other two Group F clubs, trailing by three and four points, respectively. So yes, remaining undefeated with a draw would leave the, in jeopardy yet. What a tournament. Oh, and based on ELO ratings (thank you, footballdatabase.com), Noob thinks Man City will win easily, 1-2 goal margin, in France. RESULT: 2-2 Maxwell Cornet with a goal and an assist for Lyon as they blew two leads. Noob is often reluctant to feature multiple matches from the same league or tournament on a given day. I wish to act as filter for we newish fans, allow us to focus on the most important things, yet with a broad gaze. Eight matches today for UEFA CL. We can do two. It’s an easy decision when the three-time defending champions are in the mix, too. Real and Roma are tied for the Group G lead. The next team down is five points behind. Look, these two are going through to the Knockout Stage no matter how the match ends today. But finishing 1st or runner-up matters for seeding in the next Round, so this match is still monster. Defending champs or not, this isn’t the same Real team of recent years. Losing the greatest active player in the world – Cristiano Ronaldo – will have that effect. They’re in just 5th place in La Liga and just suffered a blistering 3-0 loss to Eibar. If you don’t know that name, that’s the point. And their newfound issues are on both sides of the ball. Yet after a 3rd place Italian Serie A finish last year, Roma have slipped as many places as Real – down to 7th at present. They’d appeared to have the righted their ship to some degree of late, but than lost to Udinese last time out. Once again, if you don’t know that club, that’s the point. Real’s crash back to earth this year has been the steeper fall. Still, Noob wouldn’t put Roma at any better than an even match for them at home. New feature! EXTRA CREDIT will appear with some frequency now – these are events, matches Noob scouted for a given date but that didn’t make the cut for the Track. Extra Credit: Early round-Coupe de France, Scotland’s FA Cup, very early round 2018-19 CAF Champions League, later round EFL Cup (tournament of tertiary importance in England), and Semifinals of Africa’s women’s Cup of Nations – all are in action. ALSO! Congrats to Guadalajara, UANL, America and Pachuca of Liga MX Femenil. They all just qualified for the Semifinals of the Apertura (first half-season) there. Noob’s trying to learn women’s and more CONCACAF soccer in general, but the site I use (for the moment) screws up dates something fierce. I’d scouted the Quarterfinals I thought were today, but they’re in the books already. Part of the learning for Noob is finding the best resources. 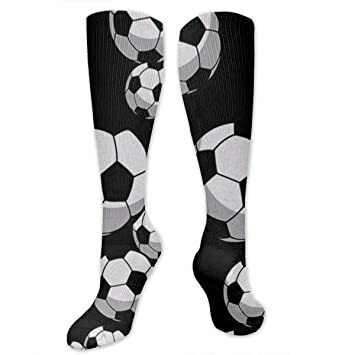 Author SoccernoobPosted on November 27, 2018 November 30, 2018 Categories 10 to TrackTags Academy Pandev, Africa Women's Cup of Nations, America, Arab Club Championship, AS Roma, Atlanta United, Barcelona, Brandon Wright-Phillips, Brittania, Bundesliga, CAF, CAF Champions League, Champions League, CONCACAF, Copa Argentina, Copa del Rey, Copa Sudamericana, Costa Rican Primera, Coupe de France, COYS, Cristiano Ronaldo, Cup of Nations, Czech Cup, Daniel Salloi, Division di Honor, EFL Cup, Eibar, ELO, ESPN, FC Porto, football, footballdatabase.com, Fox Deportes, Fox Sports, Franco Escobar, FS1, Galavision, Guadalajara, Guatemalan Liga Nacional, Herediano, Inter, international break, Jamaican Premier, Jeremy Ebobisse, La Liga, Liga MX, Liga MX Femenil, Ligue 1, Liverpool, Lyon, Major League Soccer, Manchester City, Michael Murillo, MLS, Monterrey, Nacional, Napoli, New York Red Bulls, Pachuca, Paris Saint Germain, Portland Timbers, Portmore United, Premier League, Primeira Liga, Prva Liga, PSG, Real Madrid, Relegation, Russian Cup, Santos, Saprissa, Schalke, Scottish Cup, Serie A, Shkendija, soccer, Sporting Kansas City, Tim Melia, Tim Parker, Tivoli Gardens, TNT, Tottenham hotspur, Udinese, UEFA, UEFA Champions League, Unafut, UNAL, Univision, Univision Deportes, USMNTLeave a comment on ’10 to Track’ Midweek Edition (11/27-29) soccer match previews – MLS Semis end the MWE! This site serves two purposes, or such is Noob’s intent. We learn about the leagues and tournaments of the world through the lens of a newish American fan. And it’s all presented with pretty oddball humor oft times, something for fans Noobite and veteran alike (hopefully). Weekends, though, the zaniness gets comparatively left by the wayside. 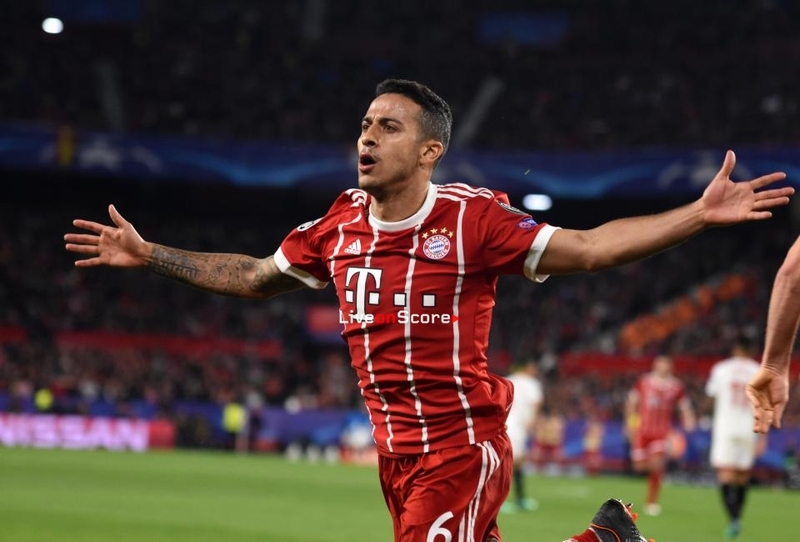 Even during this, the European International Break – which in turn affects most of the world – Saturday and Sunday will offer the best matches of the week. So let’s dig in and see what goodies the day has to offer. Portugal are in the driver’s seat to win the Group and make the Playoffs. They already lead Italy by two in the table and still have a match to play after this. For Italy, this is fourth and final Group Stage match. Italy must have a win today and than likely are forced to root for Poland to beat Portugal in the final match for those two. If Italy win by more than two today, than a Poland-Portugal draw would suffice. If Italy can at least get a draw today, they will have avoided any possibility of being Relegated to the League B for the next incarnation of this tournament in 2020-21. Italy have dropped to #19 in the FIFA rankings and failed to even qualify for the last 2018 World Cup. In getting an 0-1 win over Poland in this tournament, they had their first win of any kind since March, a streak of six matches. Just like our U.S. men’s national team, they’re trending towards younger players in a reset, and it’s showing. This one is in League C, yet that means there’s more at stake, in a way. Those League A teams are all likely to qualify for the 2020 European Championships through a variety of channels. Not so necessarily with teams down here. Each League’s winner automatically qualifies for the Euros, and this may be the only realistic shot for some teams. Both these teams have played four of their six matches. League C groups have four teams each, unlike the three-team pods in League A, so their double round-robin is longer. Serbia are a point clear of Montenegro and two ahead of Romania. The teams are ranked #35 and #39, respectively. Given that Serbia won the first match between them on the road 0-2, it’s hard not to see them as the favorite today. 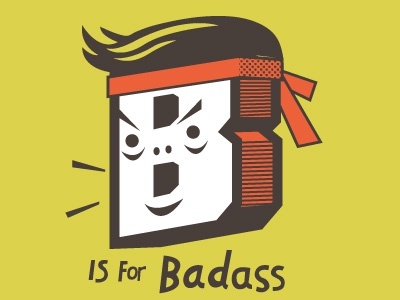 The Number B brings unmitigated joy! No Number Two ever prompted that degree of delight. It’s the second leg of the Final! And the stakes are high. The winners qualify for the next Copa Libertadores (South American Champions League). Neither of these teams was anywhere near the top of the country’s Premier League standings, so this has been there only possible path. In the first leg, Palestino scored the only goal at 90 +3′. Now they have the chance to take care of business at home for the title. But they’re particularly challenged on defense typically, so don’t look for them to be able to take the air out of the ball and hold on for a 0-0 draw for the match. Honduras’ football season is divided into separate Apertura and Clausura halves. The Apertura regular season is completed and the Playoffs have begun. The top six make these Playoffs, with the top two seeds getting byes. These two enter as the #3 and #6 seeds. UPNFM earned a 1-1 draw in the first match of this two-legged quarterfinal tie. They’ll likely look to push the pace at home, which is going to be very hard on the visitors. Platense didn’t score much all regular season. Anything but an 0-1 win for Platense is probably doom. RESULT: Platense 0-1 On to the Semifinals! The CAF’s premier national team competition is next year. This tournament is the play-in for that. Groups of four, each clubs plays a home-and-away round robine. Top two finishers in each get invites to the ACN. South Africa hosting Nigeria might be the best game from this event today. But more is at stake in this one. These two are tied for 1st after four matches. More, the two teams below them in their Group each have a win and a draw. And Zambia is easily the highest-ranked team in the group, so one can expect them to make a push their last two matches. Namibia’s been the best of this bunch on defense, G-B on offense. Midfield control may well decide this one. A low-scoring draw would serve both reasonably well, giving both a four-point lead over the others. That feels an unlikely conspiracy though. A win for either all but guarantee a top-two finish. It’s International Break in Europe, but that’s not keeping the Welsh top flite from gearing up. Surprising Barry Town are merely average on both sides of the ball, yet sit tied for 1st nearly halfway through the season. They even just pulled off a very solid road draw against co-leaders Connah’s Quay. Perennial power The New Saints have been perhaps even more surprising, at least of late. They’ve dropped two matches in a row to midtable clubs and only got a draw against another just before that. The studly offense has simply vanished somehow. This is one of Europe’s weaker leagues, so only the winner will get a berth in the next Champions League. Steve Carrell is pleasantly surprised by Barry Town. Perhaps. The French FA Cup is just getting underway. Well, the Regional Leagues’ amateur clubs have been competing to get to this, the Seventh Round. This is where qualifying teams from France’s overseas territories enter in, as well as the pro teams from League Two. The overseas territories’ entries are the reason Noob is choosing to start highlighting this competition so early on. Some of those territories are CONCACAF members, and I’m more focused than ever on our getting familiar with our neighbors. Noob’s not certain how ASE Matoury qualified from French Guiana. They and US Matoury finished #B and #3 in 2017-18 Division d’Honneur and are playing the Coupe, but not winners Le Geldar. US Concarneau play out of the third division Championnat National league, where they’re struggling on defense and sitting midtable. Noob doesn’t have any sense of how the leagues and clubs compare, so it will be fun to see how the overseas territorial clubs do. Teams from levels two through five of the Scottish football pyramid compete in this Knockout tournament. They also invite a handful of teams from other nearby countries. This is a quarterfinal match. Hosts Edinburgh are from the fourth-tier Scottish League Two, for the moment. They’re winning it, would be promoted if they finish #1. Alloa are struggling in the second division Championship league, having just been promoted themselves. Still, Noob would easily favor the visitors to win by a goal or two here on the road. RESULT: Edinburgh City 2-2 / 4-3 pk Upset City! E.C. climbs back from an 0-2 whole to take it in penalty kicks. The top eight make the Clausura (second half-season) here. This is the second leg of a quarterfinal two-legged tie between the #1 and #8 seeds. Tolima won the first match 2-1. Even on the road, Santa Fe still shouldn’t be counted out though. Statistically, these teams aren’t that far apart. Colombia determines its entrants into Copa Libertadores by aggregate table, combining the Apertura and Clausura regular season records. That takes a tiny bit of the shine off things for these Playoffs, but but not much. We finish out Track in one of Africa’s best leagues. The most recent rankings as this sixth-best on the content, and their on pace to climb as high as #B by 2020. This match features the current league leader against #10. Wait, 10? Yep. International Break means slimmer pickings, but this is an important match there, too. Raja Casablanca have only played half as many matches as many clubs there because of having been playing in the Champions League. They’ve not lost any of their four matches and are statistically the best team. Agadir can really defend, are likely to be near the table’s top all season long, competing for one of the two CL berths for next year. But R.C. defend just as well and score a lot more. 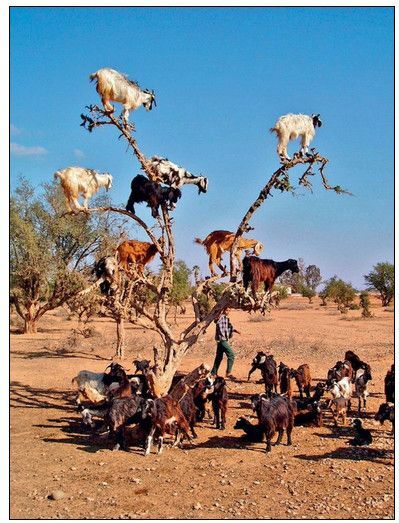 goats climb Argan trees for the fruit in Agadir. The ten most important matches to follow, for us – the newish American fans of the global game. On Friday’s, schedules run a little lighter. Noob takes the opportunity to hit up the best local games, and then it’s off to soccer hinterlands less-known! Come, jet-set with Noob. The bags of peanuts in-flight are HYOOJ. Time for the Eastern Conference Final! Defending champions Louisville host the Red Bull reserve teams. They finished the regular season #2 and #5, respectively. Louisville’s been clicking on both sides of both for weeks so, to the tune of nine straight wins. The defense has been quite good, the offense – phenomenal. NRYB Jr. have won five straight. They’ve been comparable on defense, if not quite as dominant on offense. It’s an interesting twist. Through most of the regular season, they were both scoring like gangbusters, but with NYRB doing so very much at the expense of defense. Now Red Bulls have switched their habits around. Looks like we know which club Number B is rooting for. Awwwww! Three matches to go in the Apertura (first half-season). And since each of the two half-seasons are only 17 matches long, it means things in the table are tight. Top eight make the Liguilla (postseason tournament). Morelia’s in 7th, but their numbers don’t make them look like a Playoff team. The offense is borderline, but the defense is bottom quartile-caliber. Still, they’re trending the right way. After not winning a match for more than a month straight, they’re now winners of three in a row. Those three were against bottom-half teams, but it’s still something. Tigres are #8. Two teams trail them by just a point. They’ve not won in their last four, the defense having completely fallen apart (11 goals allowed). Hard to believe PSG is looking like they might get eliminated from the current Champions League at the group stage. They’re not having any trouble in their domestic league. 11-0-0, eight points up on #B Lille in the table already. Lille sport an above average offense and defense. No reason to think they’ll have any trouble finishing in the top three and qualify for the 2019-20 Champions League. They just won’t look like it today. PSG 3-1 today. The Final! Two matches, home and away, for the club title in Africa. They’re well down the table in their domestic league so far this year, but that’s mostly by virtue of having played far fewer matches than most teams there. The international play leads to a lot of postponements for them. Extrapolate their basic stats out and they’re easily performing like a top-four club. They host what may well be the #2 club on the continent. This looks like an awful matchup for the Tunisians. They’re struggling on defense in their league, and Ahly is just relentless on offense. Ahly by two on their own pitch today. You know, as long as we’re here! Top two finishers qualify for the next Champions League. Right now, these two are #B and #3, respectively. ENEH have played a game or two more than the teams around them in the table. They’re not going to stay this high in all likelihood. They don’t score enough, plain and simple. Smouha, however, look to have the firepower to at least flirt with a top-two finish. They will be hard-pressed to catch #1 El Zamalek (best O and D in the country) or hold of Al Ahly. But so far, Smouha looks very balanced and sound. Uganda’s top flite Is a league on the move. They just cracked the CAF rankings for the first time recently, appearing at #18. They’d have to move up a few more notches to qualify two teams to Champions League, but it’s a start. It’s too early to perhaps say much, fewer than a half dozen matches into the season. but #5 URA appear to be a Small Ball team – pack it in on defense, don’t try to even score much themselves. Noob believes The Nyamity-ville Horror-obora just got Promoted to top tier this year. Judging by their utter lack of defense, they’ll be headed right back down. What, the play on words there? Quiet, Adam Scott! Don’t you have a “Krampus” sequel to go shoot? Congrats to Angola’s domestic top league! Big jump coming in the 2019-20 rankings – #17 all the way to #9. 1dA didn’t need the league to have an extra berth into Champions League last season like it will get soon. They only lost one match all last season. How? By only giving up eight goals in 28 matches. Stifling. Hulia finished 6th, as perfectly average as they could be, statistically. @MLS on Twitter asked the important, obvious question. Essentially, is a hot dog, in fact, a sandwich? Among most noble apes, a sandwich is defined as any meat or other filling between two SLICES of bread. Buns are NOT slices, or Noob’s name is John Montagu. To be fair, one can find definitions and contexts where any pieces of bread – sliced or otherwise – are called “sandwich”. I’m not here to argue against that. Because it’s already been establish in Amuricuhn court of LAW. In 2006, A Worcester, MS judge ruled against Panera in a heated case regarding a non-compete clause in a mall food court. The judge allowed the mall could rent to Qdoba, that tacos and burritos were NOT sandwiches. His or Her Honor formally told Panera, “Sit on it, Potsy” in the ruling and summary. What’s fun is that most of that is true. So — is a hot dog a sandwich? No. Heretical. Illegal! 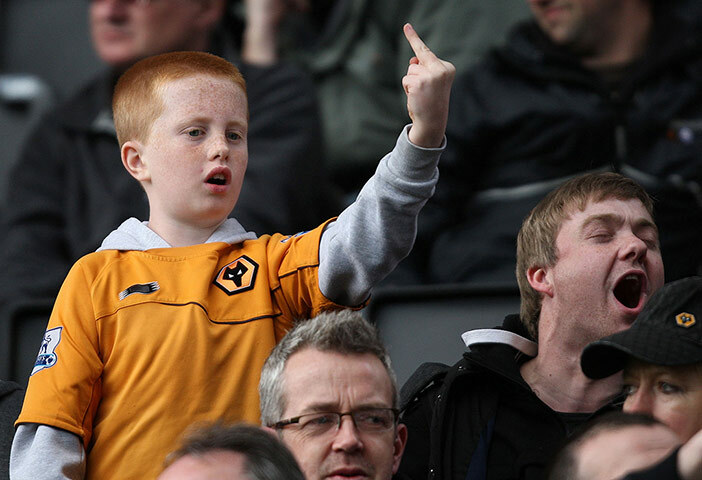 @MLS, thanks for the picture of the cute kid. But Noob rates your sandwich question at a mere two and a half out of five sandwiches on the Noob Sandwich Reviewoob sandwich rating scale. Next, we jet-set to Europe. This is one of Europe’s very weakest domestic leagues. In fact, it’s only semi-professional. But hey — they’re playing! They get just the one berth into Champions League. Glenavon are #1 now, but they only lead Linfield by a point. They lead the league in scoring, and trail just Linfield in defensive prowess (albeit by a lot). #3 Ballymena are nicely balanced, but are ten points behind their league-leading hosts. At least they’re in a position to perhaps get one of the league’s two automatic invites to Europa League. 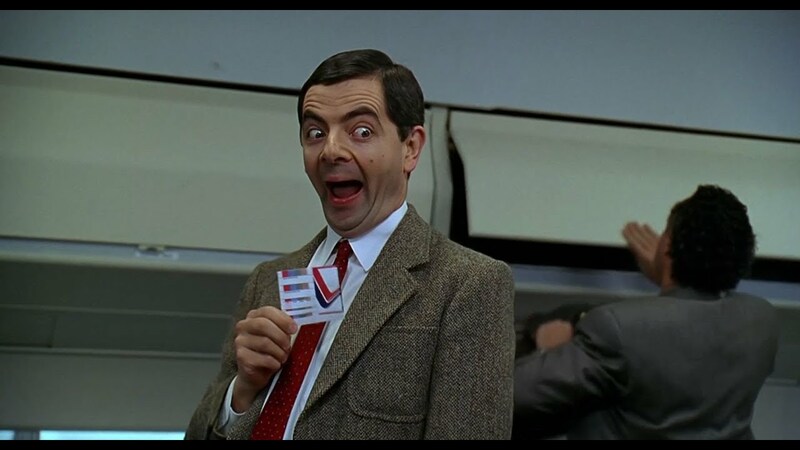 Mr. Bean always flies first class for NIFL Premiership. Our second and final stop on our European league takes us to the #34 league in UEFA. Below average, but a damn sight higher than Northern Ireland. Wheeeeeeee! These are the #3 and #5 clubs there currently. Kukesi are only four points in back of league leaders Skenderbau Korce, but that team’s been the power there for forever. Even recently getting a 10-year ban from FIFA over match-fixing hasn’t seemingly slowed that bunch much. If recent history holds, Kukesi won’t catch the Banned Ones or #B Tirana. Flamutari are far less likely. When the defense gets down to league average, those clubs won’t be able to stop the perennial title contenders. The league season is just getting (Down) underway in OZ. Yet already a big trophy has been awarded. League defending champs Sydney FC just lost in the FFA Cup final to Adelaide. Melbourne City finished #3 last year, a nice push for a team that’s historically only average there. They were either lucky or tough or both, too, as they didn’t score a lot compared to their peers. Apparently so violent, their club may soon get a Copa Libertadores invitation. For the three Midweek days, Noob teases things out from one to three days. When you have this many Champions League matches from around the world, they needs be spaced out. Safety first, Noobites. This tournament is the women’s CONCACAF Championship, but as it has for many moons, it is also the qualifying event for World Cup. The Central American and Caribbean teams have finished their opening round of play. The top finishers from there now join the big North American teams in a Group Stage, hosted in the U.S. Two Groups of four, top two from each make the Knockout Stage. Out of that, the top three will go to 2019 World Cup. These two teams join America and Mexico. No one from here is beating the US, so it’s about trying to get to #B in the table. If either of these two wants a shot at what should be Mexico’s slot, it must start with a win today. That will probably be T&T. They outscored their opponents 26-1 last stage. Noob would guess they’re a heavy favorite against Panama, with an 11-5 GD and only finished #B in their pod last round. Group Stage, pods of four, top two move on to the Knockout Stage. That’s where we are in Europe’s secondary international club tournament. There are two English teams in action today. Arsenal’s match gets the Track-nod since they’re playing a stronger team and having to go on the road. Not that today should be much of a for the Brits. Qarabag’s been having to play qualifications matches to get to this Round, while Arsenal enter the competition only now. The Azerbaijanis should easily be considered a two-goal underdog on their own pitch. At least when Noob scouted this match a few days ago, it was #1 vs. #B. I’m pressed for time over my real job to go to, so can’t even confirm that those table positions are still accurate. But Noob does recall that the league was starting to turn into a three-horse race, so neither should be any worse than 3rd. This isn’t one of even Central America’s stronger leagues. But we’re CONCACAFfeinating ourselves this year, getting to know our federation neighbors. Noob may add a little extra info here early evening. Scroll down to Tuesday’s mini-previews for some general tournament details. Then scroll back up and witness Noob’s ire! Hotspur are named for the historical, traitorous villain Harry Percy. King and countrymen both, no one could trust him. Yet he gets a football club named for him. Maybe MLS will get Benedict Arnold FC as an expansion club someday. Noob won’t root for them, either! Team Bile and Vitriol are only about an even match for reigning La Liga champs at home. They’re going to be in bad shape if they can’t get a result of some kind, as they lost 2-0 to Inter Milan in their Group Stage match. Barca walloped Dutch PSV Eindhoven 4-0 to open their Round. Hotspur’s making us all Very. Cross. Quarterfinal match in South America’s version of Champions League. This is the second leg of their home-and-away. Things are looking grim for the #16 seed, Chilean Colo Colo. They’re all the way down in 6th in their league, losers of five straight matches over all competitions. They lost 0-2 to Brazilian behemoths Palmeiras. They’ve not lost in five straight, have taken over #1 in the continent’s best league. So much CL, you’re going to have to inject it between your toes! Asia’s version is into its Semifinal, and this is the first Kashima is your 2017 league runner-up from Japan, while Suwon finished 3rd in South Korea. South Korea’s is the more highly-ranked league in the AFC, but Kashima would still be the favorite, even on a neutral pitch. The winner will get either Persepolis out if Iran or Qatari club Al-Sadd. #B against #1. Double I’s in the league name. Meistrliiga, you always bring the sweet relief. Mr. Rogers once asked kids to do nothing for one minute, just watch the clock on the tv and see how long a minute was, what it felt like. This is like that for Noob. Let the high drama of hating Hotspur and all the Champions Leagues action come down a notch. That’s a good stopping point for today. Quality, if smaller domestic league match. Noobites, see you tomorrow when we round out the Ten. The “competition proper” is begun. We’re seeing the Group Stage now. Some teams qualified to enter only now, while others had to advance through tournament qualifying round/s. There are eight groups of four clubs each. Each club will play a double round robin, home and away matches with each other on in their pod. Top two finishers move on to the bracketed Knockout Stage. Third place clubs will get dropped down into a late round of the Europa League. Last-place sad sacks have to rent halls and serve at table during fine catered dinners for the other three. All the matches are “important” in this event, and there are eight today. It’s the top club tournament in the world. We’ll lean towards our cousins from England in coverage. Hoffenheim from Germany and Manchester City are a dandy matchup today. But this is the more interesting one for a particular reason. Group H looks like a wicked-hard one. Euros might even be calling it a “Group of Death”. That seems unnecessarily dark, but ok. They’ve played just one match each so far. Man Utd blasted a Swiss club while Spain’s Valencia went down against the defending Italian league champs. Based on their Elo ratings (Noob hearts footballdatabase.com), Man Utd should easily be a goal favorite at home. But what makes this match intriguing is the drama going on with the Red Devils. 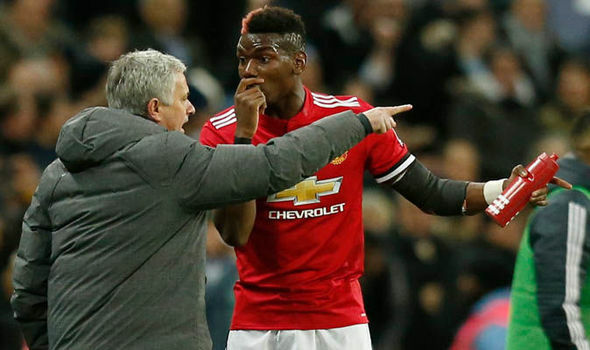 One of their stars – the Frenchman Pogba – and their manager – Mourinho – are at terrible odds. The locker room is divided and the club is playing just .500 ball and sitting midtable in the Premier League. Man Utd does. Not. Do. Midtable. They vie for titles. They spend the money. They finished #B in the EPL last season. Pogba’s going to get a new team or the manager is going to be out soon. “You go over there and eat the turkey on rye you ordered! 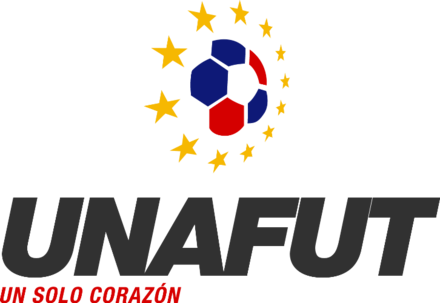 Mexico’s leagues have two half-seasons annually – Apertura and Clausura. We’re in the Apertura. Concurrent with league play, they also run a Cup tournament during each half-season. Only teams from the top two leagues compete. The Group Stage is done. We’re now seeing the Round of 16 in the bracketed Knockout Stage. One-off matches, no home-and-away. Part of the fun of Cups is watching for Minnows – underdogs, teams from leagues other than top-flite – to make deep runs. Ascenso MX (D2) Juarez has already advanced to the Quarterfinals. Tonight, we get to see if peers of their will join them. Zacatepec are in 10th in the Ascenso. That’s not even high enough to qualify for that league’s Ligilla (postseason)! Yet here they are, facing mighty Liga MX’s Monterrey. The only good news for Zaca is that Monterrey has been scuffling a tiny bit of late. They’re just 1-1-2 in their last four matches. Number B makes friends with a Tanzanian blobfish. They’ve reached the Semifinals in Africa! Here, they play home-and-away series to see who advances. The #1 team on the continent hosts the first leg today. Any and everyone would and should favor them by a couple goals. ES Setif are the defending Algerian champs. It’s a strong league there, ranked 4th. But Egypt’s is #1. Setif had to enter the tournament earlier than Ahly, may be more tired. Setif only finished 2nd in their Group to advance. Ahly won theirs. But ES Setif just knocked out the defending CAF CL champs last round. Here we go. ’10 to Track’ Globetrotting Friday soccer matches – a world of footyball awaits! Fridays tend to be a little lighter for soccer scheds around the world. So we pack our bags and hit the tarmac! Let’s Trot – learn some Fun Facts about teams and leagues from far and wide. As always, we start close to home, then expand our soccer horizons. Welcome to the only high-end match in America. No MLS today, but do get one second-tier game. ATL2 is down in 14th in the Eastern Conference. For all the success Atlanta’s MLS side is having, their reserve team is lousy. North Carolina is one of the USL clubs Noob has a soft spot for. They moved over from the almost seemingly-defunct North American Soccer League. To know why, please check out the Interviews D-Twosday page on this site. Those are a gas, and so unreal you’ll hardly believe they’re believable. Yup! That came out right. Anywho, NCFC is in 10th place. Not scintillating, except a little when you remember each conference gets it’s top eight into the Playoffs. They’re only three points out of 8th. There’s a massive gulf in the table between ATL2 and those below and everyone else. NC probably wins by a goal or two here on the road. RESULT: NC 1-6 Not a typo. Cameroonian forward Ulrich Donovan Ewolo has four goals. They’re about halfway through the Apertura (first half-season) in Mexico. Unsurprisingly, CFA is near the top (3rd). Puebla are in 10th. They’re likely better than that and will climb. They win a lot but almost never draw, which is painful in the table. RESULT: CF America 2-3 Puebla lead twice before giving up the winning score at 90′. And CFA had even just lost a man to a red card at 88′. 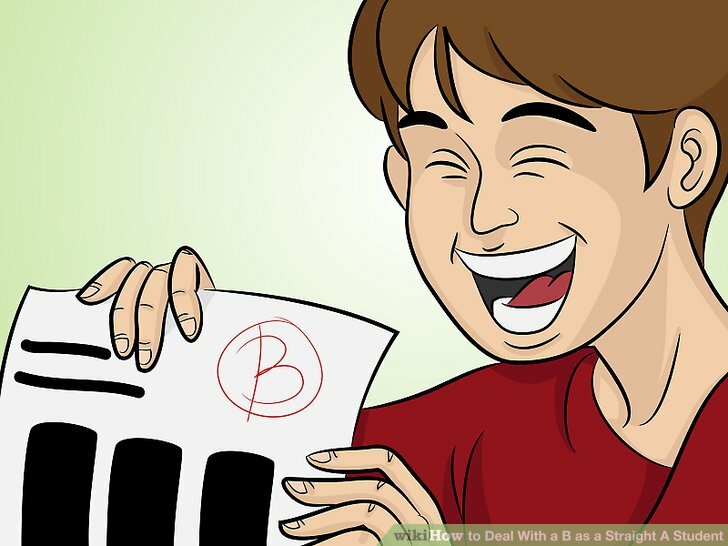 Can’t tell if Number B is mildly scolding or in pain, a la Puebla. Why do you list the Mexican men’s league before the women’s? My mom says it’s because you’re a misogynistic – well, she’ll wash my mouth out with soap if I use the word she did. Billy, thanks for writing in. Wait, how did you know Noob would — know what? Never mind. But since you’re writing, wouldn’t your mom just end up harmlessly washing your hand if you wrote the bad word she did? Also, she sounds like quite the hypocrite, and you can tell her Noob said so. I’ll bet she’s not even hot. When Noob featured matches from both leagues in the same Track, I list first whichever match is more intriguing and/or features teams that are collectively higher in their table. Necaxa are in last in their Group. (The league is divided into two.) Monterrey are in 4th, need to climb two spots to make the Playoffs. That quest moves forward today. Visitors by a couple, easy. Africa’s version is in its Quarterfinals, where each matchup is a two-legged, home-and-away affair. Noob Tracked the first leg not long back, and ES Setif took care of business at home with a 1-0 win. Now it’s the defending champions’ turn to host. Based on their ELO ratings (thank you, footballdatabase.com), Noob figures Wydad is easily a goal favorite at their own place, probably a 3:2 favorite with take it by two goals and advance. RESULT: 0-0 And so the champs are OUT. ES Setif moves on to the Semis. Apparently, Wydad supporter’s know or assume Gerard Butler is a supporter, too. It’s the pair of clubs longer-tenured Noobites knew would be at the top at the end, if not the order. Defending champs Cork City are down seven points in the table. They need a win today or the race is over. Since it’s on their pitch, that’s more likely than not to happen. But only by a tiny bit. Dundalk have the advantage of only needing to play for a draw. And they’re better on both sides of the ball, really put it all together this season. Fun Fact: Cork City are supporter-owned, by FORAS. It stands for Friends of the Rebel Army and is Irish for “development”. It’s all but over in Finalnd as well. HJK lead #B RoPS by nine with just a few matches left to play. 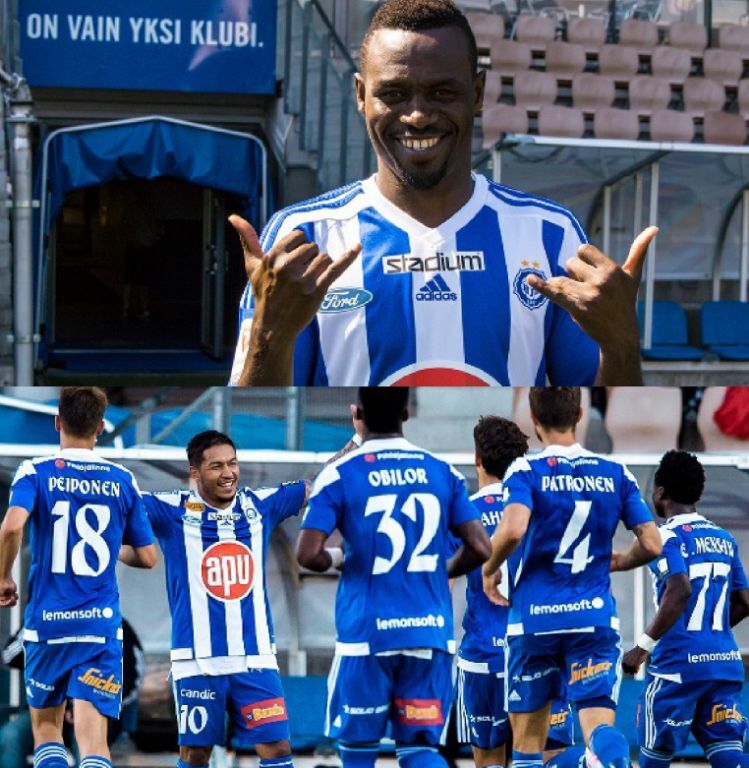 These two play very good if not quite great D. The difference has been HJK scores nearly twice a game on average while RoPS is only average in that department. 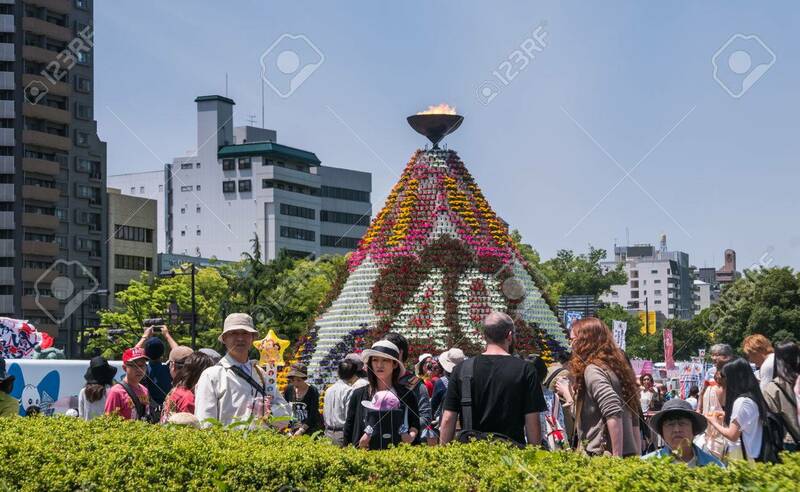 Today is probably coronation day for the defending titleholders. RESULT: HJK 3-0 Give HJK another crown! For about two seconds, Noob didn’t notice this was a split image. Yup. Thought HJK fielded a giant. This league isn’t quite a true summer one like the above two, is only about 2/3 of the way through. And the title race is closer. Suduva won last year narrowly over ZV, and the margin is about the same now. Still, ZV at home is the play if you’re such a gambling addict that Lithuanian soccer is part of your fix. Degenerate! 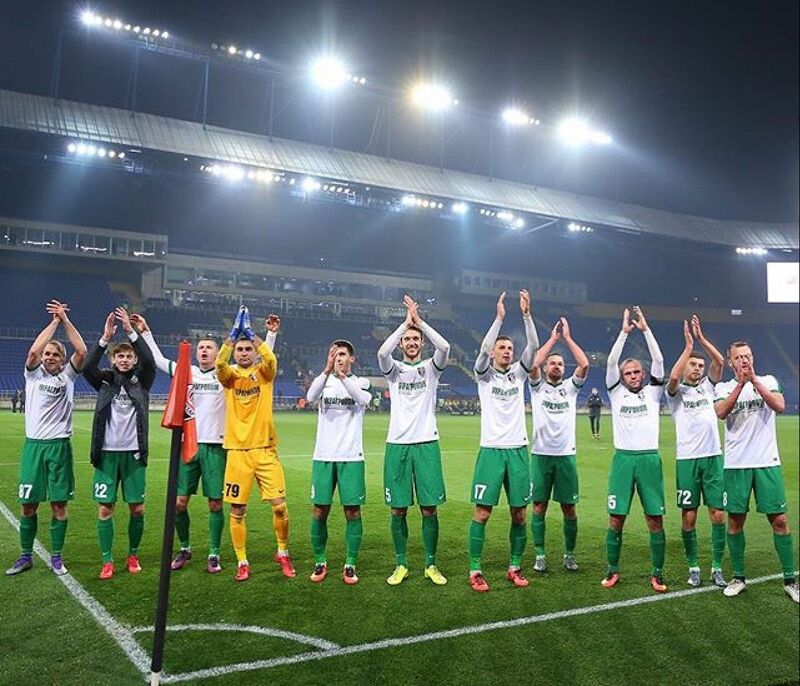 Fun Fact: Zalgiris’ supporters group are Pietų IV. Noob has no idea how to begin to pronounce that. This is the top league in United Arab Emirates. They’re just a couple matches into the season. These were last year’s #B and #3 squads. Wasl will have to accelerate on offense a little more to play for a second-place spot. They’ll need a miracle to surpass Al-Ain. Both would. Here is your rrrroast. Duck, Al-Wahda. Partizani finished 5th last season. Normally that would get you squat, but perennial powerhouse Skenderbeu Korce got hit with a record ten-year ban from international play by UEFA. That moved the tournament invitations down a rung in table each, so allowed P.T. to eke into Europa League. Where they got skunked over two matches in the first qualifying round. If you’d like to know a little more about the S.K. 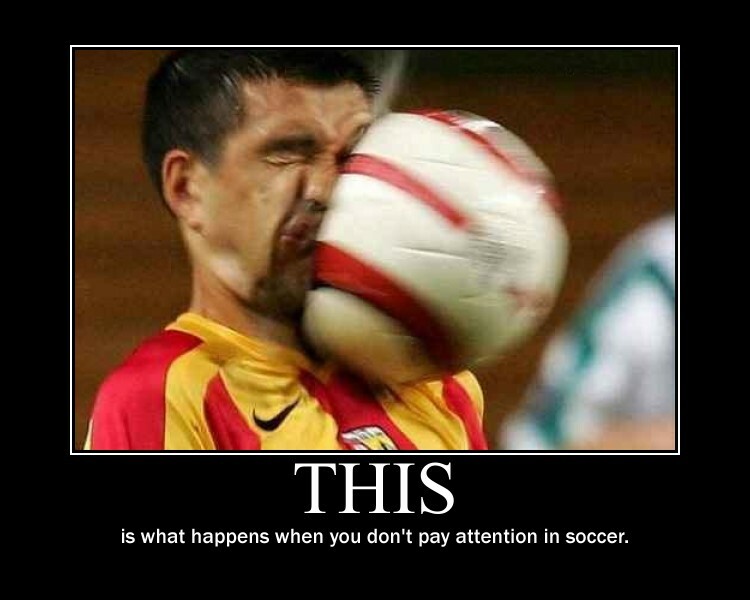 match-fixing nawteeness, Noob recommends checking out Bros Talking Soccer, podcast episode 90. The question comes at the 35’, but why not listen to the whole thing? One of only three podcasts on which I spend time. Look, they’re Bros. They talk. And it’s about soccer. In this day and age, it’s hard to find such transparency in the offering! Muy bueno. Oh yeah, Flamutari was 6th last year. OK.
Fun Fact: Brostalkingsoccerpodcast.com is the website where Noobites can get mucho info. 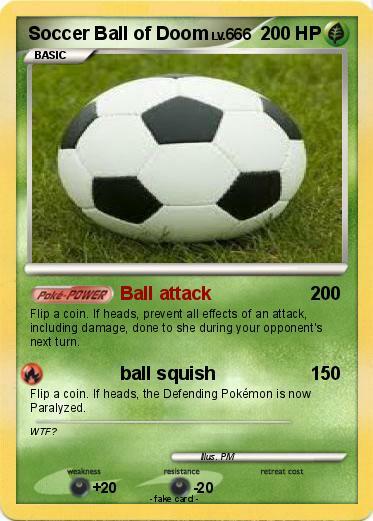 Noob finishes our ‘Trotting Track in the Netherlands second division! Both teams this very early season are high enough in the table to be in the Promotion conversation. Jong (Young) Ajax are disallowed though, as reserve teams there can’t move up to top flite. Only the top finisher will move up automatically. GHE are #B, which places them atop the spots that will qualify for the postseason Promotion playoffs. They’re leading the league in offense, and Noob considers them to easily be a goal favorite today. So long from the Toy Museum, Deventer — home of Go Head Eagles! The city. They don’t live with the toys. Author SoccernoobPosted on September 21, 2018 September 22, 2018 Categories 10 to TrackTags A Lyga, Al-Wahda, Al-Wasl, Albanian Super Liga, Arabian Gulf League, Atlanta United, Atlanta United II, Bros Talking Soccer, CAF, CAF Champions League, CF America, Champions League, Cork City, Deventer, Dundalk, Eerste Divisie, ES Setif, Europa League, Flamutari, football, footballdatabase.com, FORAS, Gerard Butler, Go Ahead Eagles, HJK, Jong Ajax, League of Ireland Premier, Liga MX, LigaMX Femenil, Monterrey, NASL, Necaxa, North American Soccer League, North Carolina FC, Number B, Partizani Tirana, Pietų IV, Puebla, RoPS, Skenderbeu Korce, soccer, Speelgoed Museum, Suduva, UAE Pro-League, UEFA, United Soccer League, Univision Deportes, USL, Veikkausliga, Wydad Casablanca, Zalgiris VilniusLeave a comment on ’10 to Track’ Globetrotting Friday soccer matches – a world of footyball awaits! On Monday’s, what with world soccer scheds being lighter, Noob introduces you to teams about to be Relegated. Feel their pain. Mondays are for pain. Noob’s beginning to think Queretaro only gets to play teams at the top of the table. we see them so much. They’re 5th in Group 2 (of 2), taking on the #1 side today. Neither side plays a ton of D.
Difference is, Tigres score like no one else. Queretaro score…well, some. Not enough. They’ll get embarrassed by three today. The lone EPL match today features two sides that aren’t quite in Relegation position, but they aren’t far above it, and they were even closer to danger last year. 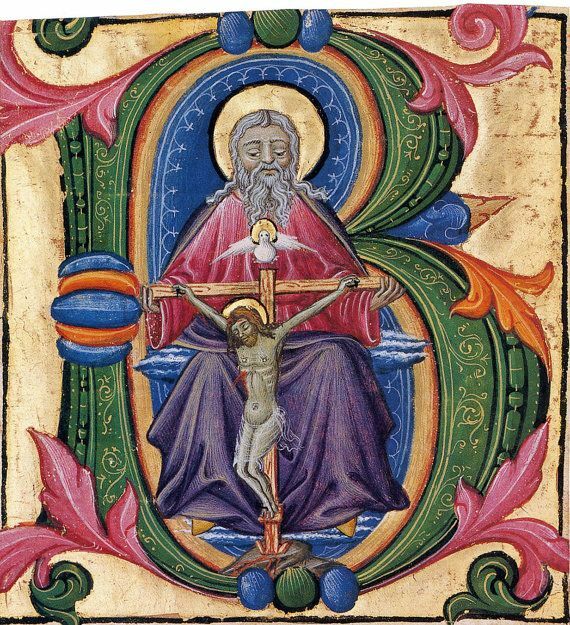 Number B refuses to be merely “bad”. Match two of this Semifinal! This is a really even matchup for the Iranians. Unfortunately, they trail 0-1 after the first match in Qatar. RESULT: Persepolis 3-1 On to the Final! There may be just enough season left for #B RoPS to think they can still make a run at the title. They’re down seven points to HJK, the class of the league. KuPS are tied for 3rd, part of a tight pack of teams that score a ton, but give up toooooo many goals to be a threat to the top. Laplandic Finland (where RoPS are) gets about 10x as many Northern Lights sightings as down south. And now – the Matches of Suckitude! More Finnish footyball? You’ve got it, Noobites! To the other end of the table we go. Well, to see PS Kemi, anyway. Honka the ones tied for 3rd with KuPS. PS Kemi are in last place. The bottom two will get Relegated. They’re four points from daylight, so not without hope hypotherically. Realistically? They’re going to get doubled up on today. Honka are that much better on both sides of the ball. Fun Fact: Each year, Kemi is once again home to the world’s largest snow castle. Hacken are a real mystery to Noob. They have a great goal differential on the season, yet sit midtable. Perhaps that means if last place Trellesborg can keep things close, a Monday Miracle is possible! Naaaaaah. They stink to high heaven. Four of the 20 clubs in this league will get The Boot at season’s end. Chapo are tied for 17th. They’re just two points from getting out of danger, but time is running out. And league #B Internacional won’t be caught napping today, or any day. They’re just a point out of 1st. Fun Fact: One of their nicknames is “The Chape Terror”. Hmm. Maybe they could terrorize second division next season. RESULT: Chape 2-1 We had to wait until the last Match of Suckitude of the day, but we got our Relegation Monday miracle! El Hodood are very bad. Noob find their name funny. Largely because I’m so damn overmedicated for my neck and lower back both being waaaay out of alignment. That image sure is. Thanks for the nightmare-fodder. Damn. How overmedicated? Well, I was awoken yesterday by a coworker’s phone call. I was so out of it, the dream I was having seemed more real for quite some time afterwards than the short conversation we’d had. I’d been dreaming about opening a cheese sandwich shop in a mall in Des Moines, Iowa. I was working out the particulars of whether or not to carry fresh mayonnaise to spread on the bread or go with prepackaged packets. I wish I was making that up. Nope. Oh yes, Ural are ghastly and will lose by at least two. Fun Fact: Ural are the Bumblebees. No punchline here, just the first club Noob’s found with that nickname. This league is just a few matches in, but that doesn’t stop Noob from sniffing out crappy soccer, oh no. Today’s visitors are tied with a couple other clubs for third-to-last, a Relegation slot. MC Oran will climb away from the awfulness soon enough, so DRBT might be on our craptastic-radar for a while. They’re especially lazy on defense. Since #3 ES Setif are also competing in the late stages of the CAF Champions League, perhaps they will not be prepared today, but that’s likely the only chance their guests today will have. Yikes! If this is their athletics scene, how crazy-violent are their football supporters? “The ten most important matches to follow, for us – the newish American fans of the global game”. Oh ho, Noob’s cheating today. The list of the previews-proper are still ten But we’re directly acknowledging three times as many Track-worthy matches today! At last, the postseason! These are the #B and #3 seeds of the four teams participating. In their last match of the regular season, Portland beat Seattle to secure their runner-up status. Their reward is getting to host today’s one-off. There will be no return trip to Seattle. The other two times they met in 2018, the matches were in Seattle, which won them both. Portland is the more offensively-minded group by far, will look to push the pace hard. The most likely names to see pairing up for scores are Lindsey Horan and Tobin Heath, second and first in league goals and assists, respectively. RESULT: Portland 2-1 Horan and Heath each scored. This is just one of three Track-worthy MLS matches on the day. Noob’s highlighting this one for a couple reasons. First – Dallas are still #1 in the Western Conference, having wrested the spot away from Kansas City midseason. Surprising – their play has been incredibly spotty. They just had a nice home win over rivals Houston last match, yet have lost twice to San Jose since August. (The ‘Quakes can’t beat almost anyone else. Ever.) The offense and defense both come and go. Second – how much longer will Noob get to type “Columbus Crew” without it being an historical reference? Their ownership moving them to Austin is hardly a done deal, but it remains a likelihood. Other MLS matches: *Philadelphia Union vs. Montreal Impact – The East’s #5 and #6 fight to stay there, the conference’s final playoff spots; *Vancouver Whitecaps vs. Seattle Sounders – the West’s #6 and #7, separated by one little point in the table. Seattle have won eight straight. Yes, Number B. You got to feature three matches. And so three of you. Well-done. It warms the cockles of a Noob-heart to see Morelia struggling. While I feel far more strongly anti-royalty with American-named clubs than Mexico, there’s still no kings and queens in N.A. Foolishness! Go, CFA! Club America are in a four-way tie for 3rd place at nearly the halfway point here in the Apertura (first half-season). They’re the strongest of them, too, in goal differential and INHO. They’d been struggling a touch, but a trip to lowly Lobos BUAP was just what was needed last match (0-2 win). Other Mexican matches of note: *Pumas UNAM vs. Tijuana — in Liga MX Femenil, Pumas are #4 in their Group. Top two from each will make the playoffs. They’re in the mix, but the least of the best there. Tijuana are in 6th; Zacatecas vs. Atlante – second-division Ascenso MX #1 and #3.
Credit to Dan – the former Intern-o Inferno – for showing us just how lowly BUAP truly is. Last year’s #3 and #4 face off. Liverpool have won all four of their early matches this season, though the toughest team they’ve faced is probably Leicester (meh). Hotspur thrashed Man Utd – on the road, no less – then turned right around and threw it away with a loss to Watford. They’re both likely to be in the title chase for a while, contend for top-four finishes, Champions League berths. Since it’s a new season, allow Noob to explain to less-tenured Noobites about the strikethrough. Tottenham Hotspur is named for Harry “Hotspur” Percy. He was an historic traitor, flipflopping multiple times with his loyalties. He was a scalawag and ne’er-do-well and Noob will carry no truck with such! This is the first leg of a Quarterfinal tie. Angola’s representative host first. Their domestic league is on the rise, looks to jump from 17th to a top-10 spot in the African rankings next year. TP Mazembe plays out of DR Congo’s top league, #3-best in Africa. 1dG would be doing well to get a draw at home. To have a chance at advancing, they’ll have to. Today’s other QF: Esperance vs. Etoile du Sahel – Tunisia’s two best clubs face off. They don’t keep them apart in the draws there I guess. They’re both a lot better than the two featured teams above. Ukraine’s top flight have climbed to #8 among domestic league in Europe. Noobites should know something about this bunch. We feature matches from their frequently. And so, welcome to the Track, FCO! Almost 100% sure this is the first time they’ve been featured. They were mid-table all last season. Seven matches into 2018-19, they’re #B. But the current and historic #1 comes to town today to test their mettle. Shakhtar average 2.5 goals a match, roughly. Other top #1-#B UEFA matchups: *Slovan Bratislava vs. Dunajska Streda — #1 hosts #B in what should be a shootout in Slovakia’s Super Liga; Ferencvaros vs. Budapest Honved — #1 hosts #B in the Hungarian NB 1. Honved will try and slow down the only team in the league averaging over two goals per match. Their league might not be even as highly-rated as the honorable mentions in Track match #6, but Noob’s always down for a Cup Final! A question plaguing Noob is: how much do these clubs care about the FA Cup? It can be legitimately asked anywhere, at least by those of us who are truly noob. Nowhere have I heard or read thy’re considered anything but a moderate to distant second in importance to the league title. It’s especially relevant here, as Iceland’s Urvalsdeild league gets only one Champions League invite and these two are #B and #3. Stjarnan, in fact, is just a point behind league-leaders Valur. Will they play all starters in pursuit of this trophy, or save energy for the home stretch of their league season? Today’s championship match is at the National Stadium in Reykjavik. If they’re both playing full strength, Stjarnan have to be considered at last a 3:2 fave to win in regulation. Noob’s been making a concerted effort here during the second year of this site to pay greater attention to all CONCACAF leagues. And #1-#B matches shine like the sun. This is one! If the current pattern holds, this league is going to have one heckuva title race in 2018-19. They’re just a few matches in, but good golly these teams end their matches in lots of draws! Noob’s not sure if the league as a whole lacks offensive talent or if the general strategy employed there is defense. Either way, they don’t see a ton of goals. Saint Gema are the only undefeated team remaining, but have won just four of seven. Independiente trail them by three points in the table. RESULT: Independiente 0-2 And we have a new #1! The other #1-#B CONCACAF matchup: *Fruta Conquerors vs. Guyana Defense Force – Guyana’s GFF Elite League – The Conquerors have an outrageous 48-5 GD. Still, halfway through the season, they lead GDF by just five in the table. Noob just said CONCACAF leagues are getting more attention here. The defending champs from Kawasaki are #B now, 2/3 of the way through the 2018 season. Even so, they’re way off Hiroshima’s pace. Sapporo were below mid-table last year, have improved mightily to be the current #4. Last season, that would’ve been good enough to get them into the AFC Champions League. Not this year. Just the top three now. Noob’s uncertain if the AFC is distributing more bids to lower-ranked countries’ leagues now, or if J1 League lost a slot due to a drop in confederation ranking. Regardless, Sapporo need to play far better defense if they want to be in any postseason discussion. *USL – conference #2 Pittsburgh Riverhounds vs. #4 Louisville FC, plus #6 Swope Park Rangers vs. #9 Saint Louis FC; Poland Ekstraklasa — Wisla Krakow vs. Lechia Gdansik was a #1 vs. #B when scouted a few days ago, but two teams which have played an extra match leapfrogged W.K. ; English Football Championship — #6 Bristol City and #3 Sheffield United would be in the second-divisions Promotion playoff tournament were the season over today. Belgium First Division A — #B Genk vs. #3 Anderlecht; Norway Eliteserien – #B FK Haugesund vs. #3 Brann; Belarus Premier – #4 Shakhtyor Soligorsk vs. #3 Dinamo Minsk; Slovenia Prva Liga — #B Aluminij vs. #3 Gorica; Uruguay Primera – #B Nacional vs. #3 Montevideo Wanderers; two other Cup tournaments in early action include Portugal’s Taca de Liga and the Swiss FA Cup. Asia’s continental football confederation also has several sub-associations. The South Asian Football Federation holds a Championship every other year. It’s a standalone event for the current seven member nations, meaning it has no effect on qualifying for any other tournaments. These are national teams that just aren’t going to see much of any success in most any other field of play. Three of the seven are in the bottom ten in all Asia. Two are the very bottom. Our Finalists are the most-highly ranked in the world, just #150 and #96. India would be even better, but. You know. Cricket. RESULT: Maldives 2-1 Upset city! They’ve been hosting this tournament Dhaka, Blangadesh. The ten most important matches to follow, for us – the newish American fans of the global game. This is Noob’s reason for being. Learning and sharing are fuhn! Fridays, scheds tend to run a little lighter. So Noob takes us on a planet-crossing trek of footyball wonder! As always, we’ll start closer to home, then jet-set off to soccer hinterlands unknown. Listing the ladies first isn’t about political correctness. Noob has little room for such the quest for learning and sharing. This is about two teams tied for first! In their Group, anyway. Mexico’s top league is divided into two for the entire season. In truth, there’s a chance this ends in a blowout. Toluca score over twice as much as their hosts today, and play just as well on defense. This could well be Pachuca’s one chance to keep true Group title hopes alive. Top two from each group make the playoffs, but there are four good to great teams in this Group 1. A home loss would sting more than a little for Pachuca. With the International Break over, Liga MX returns with a lone match tonight. It’s not the smexiest of matchups, truth be told. Veracruz is near the league bottom, sporting easily the league’s worst defense. RESULT: Toluca 2-3 It’s double-dipping into the guac bowl of victory for Toluca today! Veracruz came back to tie it from down 0-2 before losing someone to a red card late. Whoops. Time to check in on one the Premier League teams that was banished to second division! Last we saw our heroes, WBA were dead last in the PL. They weren’t the worst on offense or defense, or even overall GD. Perhaps they lacked some grittiness, guttiness that could’ve kept them above the line. These days, they’re 9th in the ECL table. Best offense down there, but still struggling on D. But Birmingham are solid chance for a road win. They’re winless, in 20th place (of 24). That’s not the Relegation Zone, but they can feel it lurking close beneath them. Noob smells an 0-2 road win for “The Baggies”. And remember: While only the top two get automatically Promoted, the next four have a playoff for one more move up. It’s the Semifinals in Africa! This is the first match of a two-legged tie. Wydad, out of Morocco, are the defending champions. Their league season is just one match on. Algeria’s ES Setif are in first place in their domestic league, though theirs is only a few games in. Setif is probably only an even match at home against Wydad. 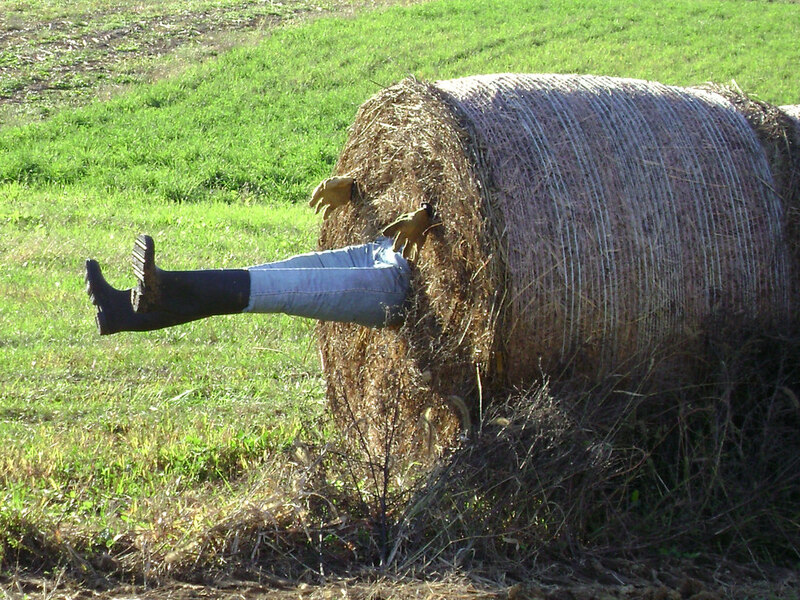 They need to make some hay on their own ground before the return leg road trip. It’s worth noting that Africa’s most highly-rated club – Egypt’s Al Ahly – are also in action today. They get overachieving Guinean club Horoya though. That match will only be as close as Ahly let it be, even on the road. No matter what the “it” is. B.G. are #1 at just past the 20-match mark in this league’s season. Excellent, especially considering they were just 9th-place in 2017. At some point, their lack of defense is going cost them dearly. Today is likely that day. The defending champs play host, and their GD is 50% better. They score nearly every bit as much. Top two will make the AFC Champions League group stage. 3rd-place finisher will get in, but have to play a qualifying round. Fun Fact: City Guangzhou is perhaps more familiar to us by an alternate name – Canton. RESULT: Evergrande 1-0 G.E. 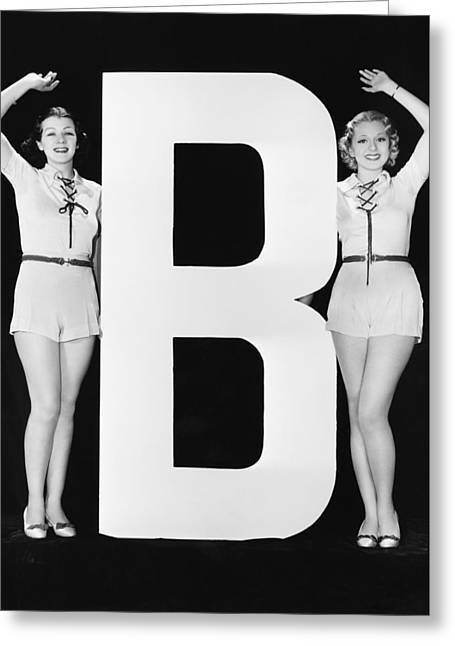 are #B now, while B.G. have dropped to #3. C.Osaka finished 3rd last year, making the AFC CL group stage. Iwata were 6th. Both teams are a bit lower in 2018 though – 5th and 10th currently. Still, even the 4th-place team gets a qualifying stage CL berth, so C.Osaka are not irrelevant. But they need to get over the hump in some matches, as they lead the league in draws. Get tough, “Cherry Blossoms”! RESULT: 1-1 C.Osaka remain in 5th, Iwata moves into 9th. 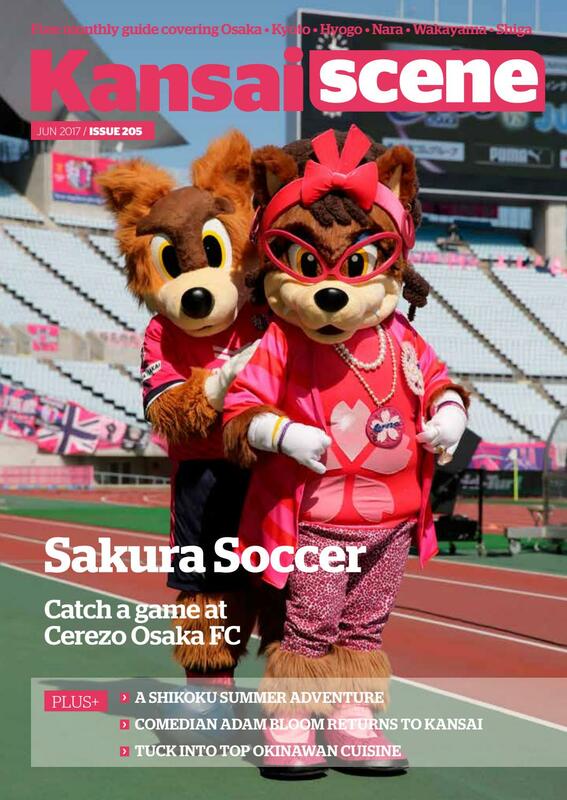 Lobby and Madame Lobina are both official mascots of Cerezo Osaka. Welcome to Asia’s 10th-ranked domestic league. Where they know how to create some league drama. Like many across the world, this league divided into Championship and Relegation subdivisions about 2/3 of the way into its season. But like a minority of those, they throw out the records at that point. Navbahor finished 4th, but are in 1st now. They lagged on offense, but now are on par with the other best clubs. Pakhtor finished 1st, are a close 3rd now. And they still are best on GD. They’re not scoring at the astonishing clip they once were, but play stonewall defense. Noob believes just one qualifies for 2019 AFC CL. 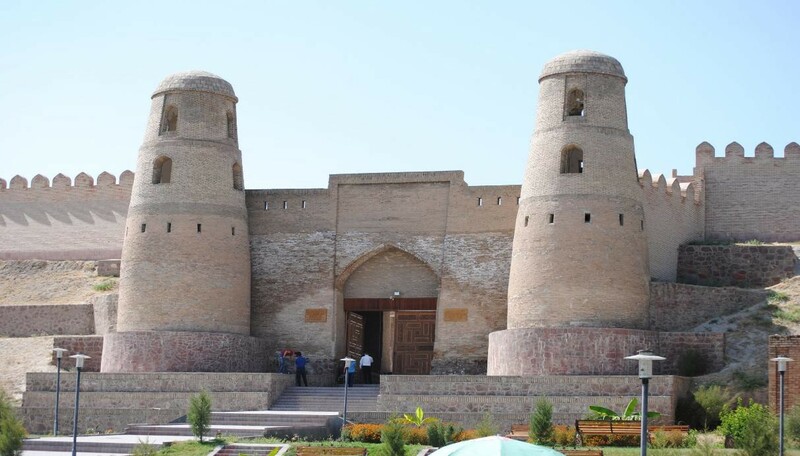 Fun Fact: Navabahor means “new spring”; their home city is Namangan. This league climbed to #12 in the AFC rankings, and so will get a team into the next CL. This year, they don’t have even one. Instead a couple of their clubs qualified for the Asia Cup. The season is 20 matches in, and it appears to be a two-horse race. Kuktosh are 3rd, but a dozen points behind the leaders. They’d need an historic run to jump both teams. Even one of them, really. Khatlon are in 6th and probably a bit better than that. They’re no worse than an even match for their guests today. A Buddhist cloister (Ajina-Tepa) near Khatlon club’s home city of Qurghonteppa. In Asia’s perfectly average (#23) league, even the champ doesn’t get a sniff of the AFC CL. They head to the secondary Asia Cup. Not that either of today’s combatants will be there, either. #7 hosts #5. The good news for them is no one gets Relegated from this league. Fun Fact: OK, these guys are just looking to mess up my Scrabble game now. Merw?? Srsly? After that extended run through Asia, we finish today’s Globetrotting Track in Africa. This league cracks the top 24, but needs to be twice as good to get two berths into the CAF Champions League. Their season is just getting started. Azam finished #B last year. 1st-place Simba SC outscored them by nearly a 2:1 margin. Mwadui were 10th of 16. So long from Shinyanga, Tanzania! 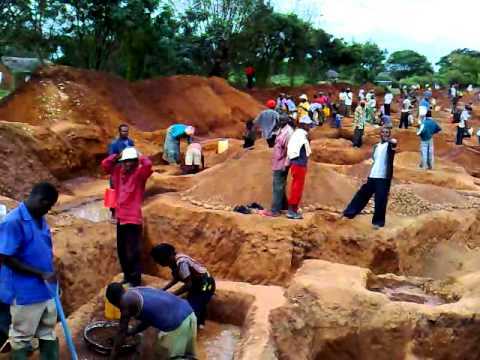 Home of FC Mwadui and where the first big diamond find was made outside S.A.